Tickets for “rockstar” particle physicist Prof. Brian Cox’s Auckland show went on sale this week. With seats priced from $90 to $215, are big popular science shows fostering elitism? New Zealand has been blessed by visits from four big names in science this year already, and is set to play host to a fifth in November. It started in February with an Auckland show from my personal hero, David Attenborough. Then, we had theoretical physicist and mathematician, Brian Greene also speaking in Auckland, in March. 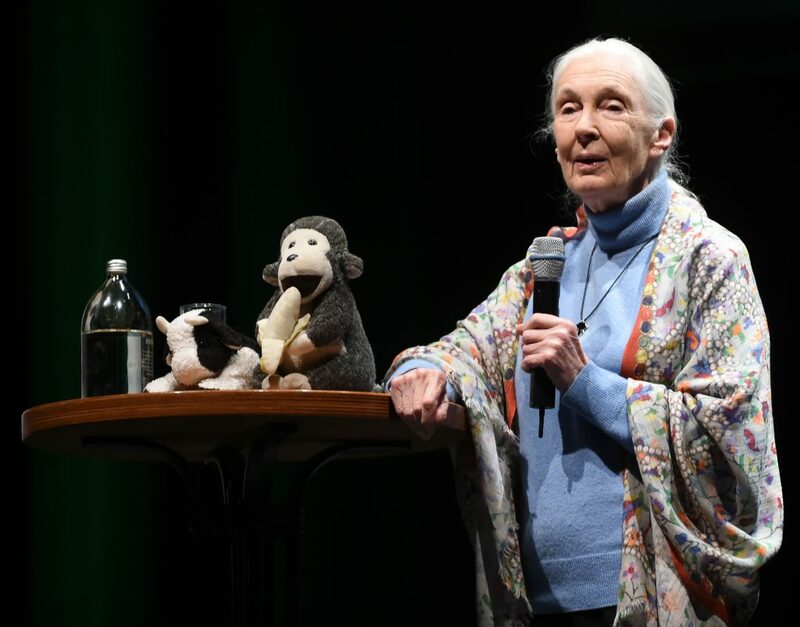 Conservation advocate and primatologist Jane Goodall toured the country in June, presenting shows in four major cities; Auckland, Wellington, Christchurch, and Dunedin. Dr Goodall was closely followed by astrophysicist Neil deGrasse Tyson, who blew through Auckland and Christchurch with his “cosmic perspective” tour in July. As we hurtle through the second half of the year, people are getting excited about Brian Cox’s “evening of scientific phenomena” show in Auckland in November. Well, those who can afford it are. The thing these events have in common is a hefty price point, not least Prof. Cox. A quick comparison of ticket prices across these events shows that seeing uber famous scientists is no small financial undertaking. For comparison, consider ticket prices for Lorde’s upcoming tour, or a ticket to see the All Black’s play Australia. Essentially, for all but the lowest price tickets, it’s cheaper to see the All Blacks than to see David Attenborough, Brian Cox or Neil deGrasse Tyson. Especially for families. The lack of student or child tickets for David Attenborough and Prof. Cox’s show means a family of four would have to pay at least $380/$360 to see these lectures respectively. Not great if you’re trying to get the kids into science. And that’s before all the “admin” fees charged by the ticketing company. One could argue that the fact that people are prepared to pay big ticket prices to see scientists is a good thing. People are as excited about science as they are about sports or actual rockstars! And yes, it should be more expensive to see Jane Goodall than Lorde. Goodall’s career spans decades while Lorde only broke onto the music scene relatively recently. This is all arguably true, but science is already seen as stuffy and elitist. It can’t afford to be even more so. Many of us are busy trying to connect with the general public. We want to cast off notions of aloof superiority and white coats. 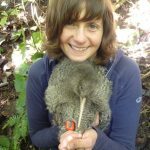 Rockstar scientist also bust out of such stereotypes, but most kiwis can’t afford to see them do it. Surely this leaves the audience at one of these shows consisting mainly of relatively wealthy and relatively well-educated folk who are already science fans? There’s nothing wrong with these people enjoying these shows, but it leaves an important audience out in the cold. All the people mentioned above are extremely clever scientists, and gifted communicators. They have presumably worked very hard to get to the point where they can charge this much for lectures. And it’s unlikely they’re the ones setting the prices – the promoters and organisers will figure all that out. Some of them may even be putting ticket profits back into conservation or education initiatives. While I can’t imagine paying $329 to meet anyone, ever (especially not for 45 mins with 99 other people), this obviously appeals to some people. But there’s no denying that a starting price point of around $80-90 will put off those who are sci-curious as opposed to fully fledged science fans. Brian Cox or Beauden Barrett? Let your wallet decide. What these high prices highlight extremely well is the value of all the free science engagement available in New Zealand. Groups like Allan Wilson at Otago, and the Royal Society of New Zealand, do a great job organising free public science lectures across multiple cities in New Zealand. Over the past few years, these groups (and others) have brought leading scientists and science presenters from all over the world to talk to New Zealanders about their work, and tickets are almost always free (or very low cost). Scientific conference organisers have also caught on. The recent Genetics Society of Australasia meeting in Dunedin in July had a free public talk from a visiting scientist every evening. It is wonderful that superstar scientists are making the trip to New Zealand. It would be even more wonderful to see them allocate more seats for concessions (or any, in the case of Prof. Cox and, I’m sad to say, Sir David) and offer family friendly prices. In the meantime, we should be getting the word out to encourage as wide and diverse a range of kiwis as possible to make the most of all the amazing free science events that are already here. I think this article makes some interesting points but fails with others (such as comparison not be like for like). From the perspective of Dr Goodall and JGINZ – It costs a good deal to undertake a tour of NZ and put these large scale events on. JGINZ made sure to undertake other events with Jane that allowed for teachers and students to attend for free and hear from Jane and about our NZ based Roots & Shoots programme. It may interest New Zealanders to know that Dr Goodall did not take a cent away with her – All money from the tour (after costs) have been retained to allow for the work of JGINZ to be undertaken (and none of us have salaries). It is perplexing that this this debate is not had over hundreds spend to see Madonna, Bieber, Oprah etc. Dr Goodall has had an extraordinary life and continues to have so much to offer in terms of guidance and inspiration – For folks looking for that they also get to support her/our work. Would have been good to utilise some of this in a comparison, if you felt the need to have one. We thank those who support Dr Goodall and our work. Thanks for reading and entering the discussion. To be clear, the piece is in no way intended as an attack on Jane (or the other scientists), and certainly is not intended to cast doubt on the excellent work carried out by her foundation. I do make the point in the piece that I don’t know where the ticket money is going and that it could well be going into conservation, which seems to be the case for Jane’s shows given what you’ve written. The main point is that, regardless of where the money is going, the price point for these shows is too high for many people. Great to know that Jane was doing engagement outside of the talks – it sets a great example. So I would suggest that those reluctant to pay for the superstars look around their region to find out what is happening and attend some of the talks, discussions or events. They are usually led by experts in their field who know how to talk to a lay audience. The biggest advantage when compared to the super-stars is that there is plenty of time for questions. In fact the best of these from a lay point of view is a series that I started called cafe scientifique where the format is 10-15 minutes of an expert giving the background to a subject followed by about an hour of questions and discussion. Is there any correlation between the celebrity status of these rock star scientists and their actual contribution to science? The comparison of science events with the All Blacks and Lorde is not very scientific. As of now science do not have the popularity and massive audiences of sport or music with which to amortize costs. If scientists could sell-out Eden Park or Forsyth Barr Stadium with it’s 30,000 seats, rather than the 2,000 seat venues we are using at the moment, the prices would be at or below the ticket prices of Lorde and the All Blacks. With Sir David Attenborough and Prof Brian Cox, whom Lateral Events toured/are touring for the first time in New Zealand this year, a great deal of focus has been given to investing in the latest technology and live event techniques to communicate science in the best way possible. We are breaking new ground here in communicating science. We think it’s important to do that. Our intent is not to reach as many people as cheaply as possible, but to communicate science in the best way we can and really lift the bar. We were so pleased that Sir David and Brian both sold out so quickly in Auckland. We feel sure Brian will sell out soon in Wellington, but our biggest regret is that we were unable to find a suitable venue in Christchurch. We’ll be in all three cities on the next tour and as the shows get bigger, they will also get cheaper.